Louisiana Tech has been selected to host Fulbright Visiting Scholar Dr. Eissa D.A. Habil from Gaza, Palestine, for the 2005-2006 academic year. § Professor of Mathematics, Visiting Fulbright Scholar, Louisiana Tech University, Ruston, LA, USA. · Orthomodular Structures, Noncommutative Measure Theory, Quantum Logic, Mathemathical Foundation of Quantum Mechanics. · Ph.D. in Mathematics 1993, Kansas State University, Manhattan, Kansas, USA. · M.S. in Mathematics 1986, University of Saskatchewan, Saskatoon, Sask., Cananda. · B.S. in Mathematics 1981, Alexandria University, Alexandria, Egypt. · Orthoalgebras and Noncommutative Measure Theory. · Professor Richard J. Greechie, Associate Dean, College of Engineering and Science, Louisiana Tech University, Ruston, La, USA. Professor, Department of Mathematics, Islamic University of Gaza (IUG), Gaza, Palestine. Associate Professor, Department of Mathematics, IUG. Head, Department of Mathematics, Islamic University of Gaza, Gaza, Palestine. Assistant Professor, Department of Mathematics, IUG. Visiting Assistant Professor, Department of Mathematics and Computer Science, University of Denver, Denver, Colorado, USA. Acting Assistant Professor, Department of Mathematics and Statistics, Louisiana Technical University, Ruston, Louisiana, USA. Graduate Teaching Assistant, Department of Mathematics, Kansas State University, Manhattan, Kansas, USA. Help – Sessions Coordinator, Department of Mathematics, Kansas State University, Kansas, USA. Lecturer, Department of Mathematics, Islamic University of Gaza, Gaza, Palestine. · Habil, E. D., Orthosummable orthoalgebras, International Journal of Theoretical Physics, Vol.33, No. 10(1994), 1957-1984. · Habil, E. D., Brooks-Jewett and Nikodym convergence theorems for orthoalgebras that have the weak subsequential interpolation property, International Journal of Theoretical Physics, Vol. 34, No. 4(1995), 465-492. · Habil, E. D., A necessary and sufficient condition for all finitely additive set functions to be countably additive, The Islamic University Journal, Vol. 5, No. 2(1997), 76-82. · Habil, E. D., Morphisms and pasting of orthoalgebras, Mathematica Slovaca, Vol. 47, No. 4(1997), 405-416. · Habil, E. D., The Brooks-Jewett theorem for k-triangular functions on difference posets and orthoalgebras, Mathematica Slovaca,Vol. 47, No. 4(1997), 417-428. · Habil, E. D., A stone’s Representation theorem and some applications,Turkish J. Math, Vol. 23, No. 2 (1999), 287-299. · Habil, E. D., Direct Limits of effect algebras, International Journal of Theoretical Physics, Vol. 39, No. 3 (2000), 711-720. · Habil, E. D. and Radwan, A. M., Decomposition of measures on difference posets, The Islamic University Journal, Vol. 10, No. 1 (2002), 75-90. · Habil, E. D. and Nasr, T. Z., On fuzzy probability theory, Internat. J. Theoret. Phys, Vo. 41, no. 4 (2002), 791-810. § Habil, E. D. and Mahdi, H. B., Integration with respect to a non-continuous ?-measure, Islamic University Journal, Vo. 10, No. 2 (2002), 13-33. § Habil, E. D., Brooks-Jewett Theorem on an Effect Algebra, Islamic University Journal, Vo. 11, No. 1 (2003), 53-69. § Habil, E. D., Nikodym-Vetali-Hahn-Saks Theorem on an Effect Algebra, Islamic University Journal, Vo. 12, No. 1 (2004), 1-11. § Habil, E. D. and Elzenati, K. A ., Connectedness in isotonic spaces, Turkish J. Math., Vol. 29 (2005), 1-16. § Habil, E. D., Double sequences and double series, submitted to the Islamaic University Journal, (2005). § Hisham Bashir Mahdi, “Common Properties of Special Measures”, November 1999. § Akram Mohamed Radwan, “Decomposition of Measures on Orthostructures”, February 2000. § Taghreed Zaki Nasr, “Fuzzy Probability Theory”, October 2000. § Khaled Al-Zinati, “On Generalized Closure Spaces”, October 2004. I served as a member of the Examination Committee for several graduate students in the Master’s Program offered by the Mathematics Department at the IUG, and also in the Joint Ph.D. Program in Mathematics between Al-Aqua University in Gaza and the Faculty of Education at Ein–Shams University in Egypt. § I refereed several research papers in Mathematics. § I have been teaching in the Master’s Program in Mathematics at the IUG which started in 1994. § I taught in the joint Master’s Program in Mathematics between Al-Aqua University in Gaza and the Faculty of Education of Ein-Shams University in Egypt. § I served as a member of the Committee of the Graduate Studies at the IUG during the period January 1998 to September 1999. § I served as a member of the Committee of Scientific Research at the IUG during the period September 1999 to September 2001. § I have been teaching in the Master’s programs in Mathematics at the IUG since September 1994, and at Al-Aqsa University in Gaza since September 1995. § I helped in establishing the double major: Mathematics and Computer Science in the Mathematics Department at the IUG. § I chaired the First Islamic University Conference on Mathematics and Computer Science held on February 28/1998. § I am one of the few people who started teaching in the Mathematics Department at the IUG when it was born in the Fall of 1981. § I served as the chairman of the Mathematics Department at the IUG during the period October 1998 – September 1999. § Besides teaching at the IUG, I taught undergraduate Mathematics courses at Al-Aqsa University in Gaza, and at Al-Quds Open University-Gaza Educational Region. § I served as a member of the Placement Exams Committee at Al-Quds Open University-Gaza, where I offered several placement exams for mathematics and computer science students. § I taught several undergraduate mathematics and statistics courses at Kansas State University, Louisiana Tech University, and the University of Denver in the USA. § I served as Help-Sessions Coordinator for the help sessions offered for the undergraduate students in Math courses by the Math Department at Kansas State University. § I have attended several international and regional conference on mathematical sciences that have been held in the USA, Slovakia, Palestine, Jordan, and Bahrain, where I presented several research papers. § Some of my papers had a significant contribution to the field of Quantum Physics and therefore have been published in the well-known International Journal of Theoretical Physics. · Member, American Mathematical Society. · Member, International Quantum Structures Association. · Member, Palestinian Society for Mathematical Sciences. · Member, The Scientific Research Committee of the Islamic University of Gaza. 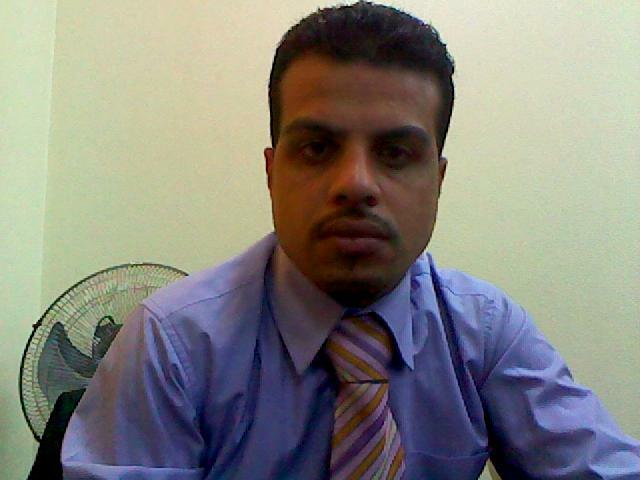 · Thesis Advisor of four students in the Master’s Degree Program of Math at the Islamic University of Gaza. · Refereed Master Theses for several Mathematics Students at the Islamic University of Gaza. § Refereed Ph.D. Theses in Functional Analysis and Algebra for students in the joint Ph.D. program between Al-Aqsa University in Gaza and Ein-Shams University, Egypt. · Refereed several research papers in Mathematics. Scientific Research Award, Islamic University of Gaza, Gaza, Palestine. Science Award, for Participation in the Arts and Science Research Symposium for the Year 1993, from the College of Arts and Sciences, Louisiana Tech University, Louisiana, USA. Graduate Scholarship for Distinguished Graduate Students, Kansas State University, Kansas, USA. Graduate Scholarship, University of Saskatchewan, Saskatoon, Canada. · The First International Conference on Science and Development, Islamic University of Gaza, Gaza, Plestine, March 1-2, 2005. · The First Conference on Mathematics and Computer Science, Irbid National University, Jordan, October 2003. · The Second Islamic University International Conference on Mathematical Sciences, Islamic University of Gaza, Palestine, August 2002. · Third Palestinian International Conference on Mathematical Sciences, Beth-Lahem University, Beth-Lahem, Palestine, August 2000. · Quantum Structures’ 98 Biannual Conference Mathematical Institute of the Slovak Academy of Sciences, Bratislova, Slovakia, Aug. 30 – Sep. 5 /1998. · The Fourth Jordanian Internatinal Conference on Mathematical Sciences, Yarmouk University, Erbid, Jordan, 24-26 August 1998. · The Second Palestinian International Conference on Mathematical Sciences, Bir-zeit University, Ramalla, Palestine, 19-21 August 1998. · The First Islamic University International Conference on Mathematics and Computer Science, Islamic University of Gaza, Palestine, February 1998. · International Conference on Pure and Applied Mathematics, Bahrain, November 1995. · Arts and Science Research Symposium, College of Arts and Science, Louisiana Tech University, Louisiana, USA, Spring 1993. · AMS and AAM Annual meeting, San Antonio, Texas, January 1992. Copyright © 2019 DR. Eissa D. Habil. All Rights Reserved.